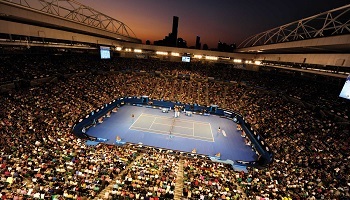 See the world’s best tennis players take center stage in Melbourne! 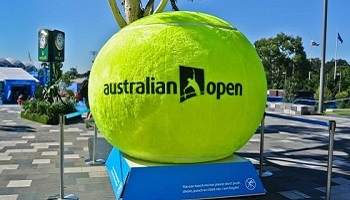 A visit to the Australian Open will be one you'll talk about for years. 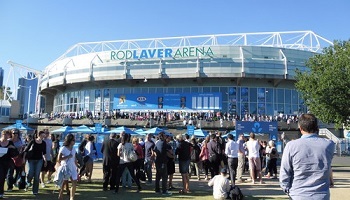 Take in the first Grand Slam® of the season as well as exploring stylish, vibrant Melbourne. Sitting on the Yarra River, the city is a maze of hidden laneways, opulent bars, exclusive restaurants and off-the-beaten-track boutiques. Visit Federation Square, the city’s landmark cultural space, and enjoy a sunset beer on the St Kilda promenade. Shop till you drop on funky Brunswick Street or upmarket Chapel Street. Wander Southbank’s cafes, bistros and bars and get a world tour of cuisines in Carlton, Richmond and Fitzroy. Out of the city explore the craggy coastline of the Great Ocean Road, witness little penguins as they parade home at dusk on Phillip Island and go bushwalking in the Grampians National Park.